We have present a Diwali mega offer in a Diwali festival to our investor as “ Buy 1 & Get 2 Free” offer in quarterly half yearly and yearly. Better chance for investor to earn more and more profit with this offer so hurry up and join us for better opportunity offer today is last days! Hurry up. In opening market nifty jumped to 75 point and reach near 8000, after some hour nifty hover around 7980 like as 10 point move to up or 10 point move to down. Nifty move up to 55.60 point at 7983.35 value and Sensex move up to 181.56 point at 26757.21 value. About 39 shares have advanced, 10 shares have declined and 1 shares have unchanged. The Indian rupee opened at 61.15 a dollar, up 16 paise compared to previous day's closing value of 61.31 per dollar on hopes of strong trade in equity market. Wipro is expected to report a 2.45 percent growth on Wednesday. Top gainers is Hero Motocorp, jindal steel, Kotak Bank, Tata Motors, Cipla, Dr Reddy's Labs. Top losers is ONGC, Tata Power, DLF, Coal India, PNB, NMDC, ITC, ICICI Bank. Nifty futures rose for a third straight session on Tuesday to mark their highest close in 1-1/2 weeks as government plans to auction coal blocks the top court cancelled in August. Nifty futures closed at 7946 with a high of 7959. Nifty for next trading session would have the resistance of 7960 if it breaks this level than having the next resistance of 8010 and in down side having the support of 7880 if it breaks this level than having the next support of 7830. Top gainers is Hero Motocorp, Jindal Steel, Dr Reddy's Labs, Cipla, Tata Motors. ONGC, DLF, Coal India, PNB, ICICI Bank, Tata Power, NMDC, ITC. In Wednesday, Nifty moving on 8000 and sensex gain 200 point. Nifty opened at 7997.80 and sensex opened at 267872.57. Nifty opened gained up to 75 point. 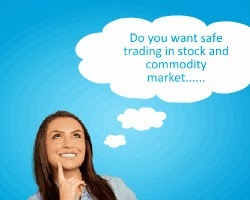 Currently nifty at 7985.40 move up to 57.65 point and sensex at 26789.03 move up to 213.38 point. About 44 shares have advanced, 6 shares have declined and zero shares have unchanged. Top gainers is Jindal Steel, hero Motocorp, Baja Auto, Dr. Reddy's Labs. Top losers is Coal India, PNB, ICICI Bank, Lupin, ONGC, Zee Entertainment. Nifty top gainers is Jindal Steel, DLF, BHEL, GAIL, Sesa Sterlite, IDFC. Jindal Steel- In Tuesday Jindal steel opened at 138.50 and closed at 145.45, gain up to 9.95 point with 7.34 percentage. Jindal Steel turnover is 21,400.97 lacs turnover. DLF- In Tuesday DLF opened at 116.50 and closed at 121.40, gain up to 5.65 point with 4.91 percentage. DLF turnover is 27,424.64 lacs turnover. BHEL- In Tuesday BHEL opened at 228.55 and closed at 238.45, gain up to 10.95 point with 4.80 percentage. BHEL turnover is 18,177.16 lacs turnover. GAIL- In Tuesday GAIL opened at 460.10 and closed at 481.10, gain up 21.95 point with 4.78 percentage. GAIL turnover is 10,596.19 lacs turnover. Sesa Sterlite- In Tuesday Sesa Sterlite opened 241.90 and closed at 248.50, gain up to 9.95 point with 4.19 percentage. Sesa Sterlite turnover is 14141.49 lacs turnover. IDFC- In Tuesday IDFC opened at 140 and closed at 144.90, gain up to 5.50 point with 3.94 percentage. IDFC turnover is 9,108.69 lacs turnover. In Tuesday, Nifty Sensex closed in a positive mode, Nifty move up to 48.35 point at 7927.75 and Sensex move up to 145.80 point at 26575.65. In mid noon nifty sensex sluggish and holds at 7900. About 38 shares have advanced, 12 shares have declined and zero shares have unchanged. Bank Nifty gained more than a percent as top private sector lender ICICI Bank surged 2.5 percent and its rival Axis Bank rose over a percent. SBI was up 0.8 percent but HDFC Bank was flat post Q2 earnings. Jindal Steel, DLF move up to top gainers percentage. Top gainers is Jindal Steel, DLF, BHEL, GAIL, Sesa Sterlite, IDFC, Wipro. Top losers is PNB, ONGC, M&M, Ultra Cement, Coal India, Lupin, BPCL. Nifty futures rose more than 1 percent on Monday after the government energy reform’s led to a rally in oil firms, while wins by Prime Minister Narendra Modi’s party in two state elections raised expectations for more reforms. Nifty futures closed at 7895 with a high of 7940. Nifty for next trading session would have the resistance of 7940 if it breaks this level than having the next resistance of 8010 and in down side having the support of 7870 if it breaks this level than having the next support of 7820. Top gainers is Jindal Steel, GAIL, BHEL, Sesa Seralite, Bharti Airtel. In Tuesday, Nifty breaks 7900 level in currently session, After hits 7900 level nifty break. Nifty move up to 12.45 point at 7891.85 value and Sensex move up to 51.39 point at 26481.24 value. About 31 shares have advanced, 19 shares have declined and zero shares have unchanged. In morning session Nifty jumped 49.40 points to 7928.80 supported by banks, capital goods, metals and telecom stocks but now break. Technical researcher said nifty cover up 7900 value in positive mode. Top gainers is Jindal Steel, GAIL, Sesa Sterlite, BHEL, Bharti Airtel, HDFC. Top losers is Coal India, ONGC, M&M, Lupin, BPCL, Asian Paint. We are giving a special offer as "Buy 1 & Get 2 Free" all quarterly, half yearly, yearly services and "25 % discount in HNI services" to our customer in diwali festival, so hurry up and join us for better opportunity. In Tuesday, Nifty Sensex opened flat nifty opened at 7906.15.15 and sensex opened at 26552.45. Currently Nifty move up to 40.85 point at 7920.25 and Sensex move up to 139.12 point at 26568.97 value. About 32 shares have advanced, 17 shares have declined and 1 shares have unchanged. Top gainers is Jindal Steel, Sesa Sterlite, GAIL, BHEL, IDFC, Bharti Airtel. Top losers is Coal India, Lupin, ONGC, Sun Pharma, Asian Paint, BPCL. 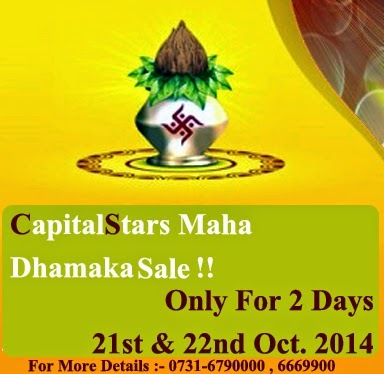 Diwali Mega Offer For U Hurry Up !!! !!! Diwali Mega Offer !!! 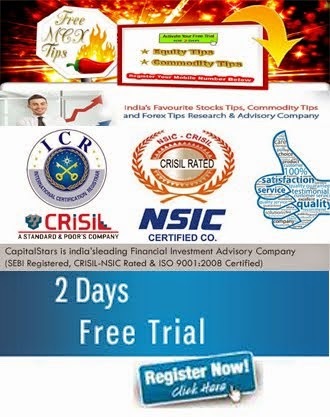 In Diwali festival We are presenting special offer as "Buy 1 & Get 2 Free" all quarterly, half yearly, yearly services and "25 % discount in HNI services" in diwali festival to investor, those traders investment in equity and commodity market so hurry up and trade with us for better opportunity. Offer only for 2 days so hurry up.